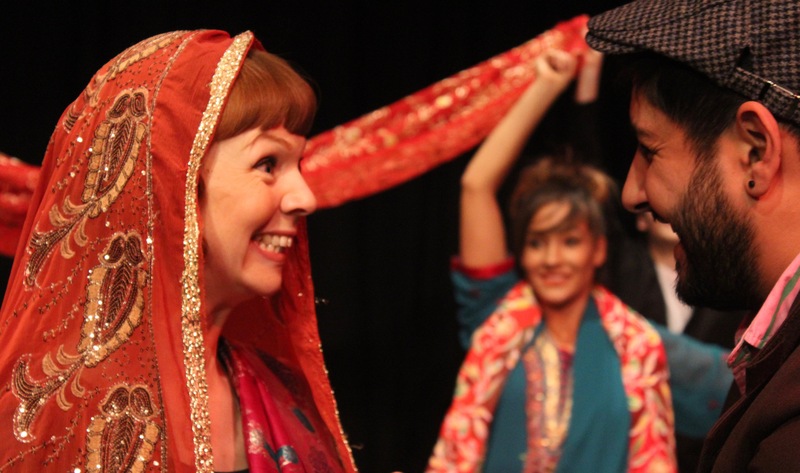 ‘Bangla Brummies’ is a comedy written by Bangladeshi theatre activist and writer, Murad Khan. The action is set in Birmingham but alternates between life in the 1970s and the present, following the stories of two Muslim Bangladeshi bachelor friends, Malik and Hisham, as they marry and become fathers. Through the comic medium, Khan takes a look at – and gently prods – the subjects of race, religion and acceptance in Asian families. Hisham marries a white Irish girl and, years later, Malik’s daughter falls in love with a white non-Muslim boy. 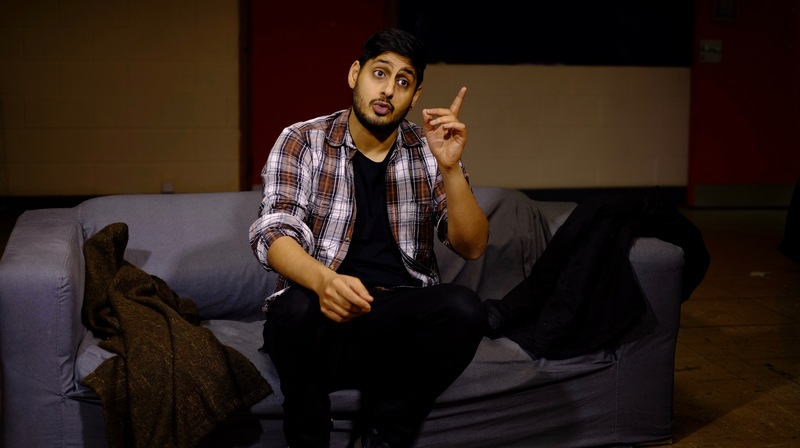 How both men behave is a fascinating look into very real issues facing many British Asian families today. It was my pleasure to visit the mac arts centre right in the heart of Birmingham. I have to say it is a quiet jewel of the city – modern, clean, welcoming and pleasant in every way making it a far cry from much of the city which surrounds it. The mac facilities are excellent and deserve to be used extensively which, judging by all that seemed to be going on, is certain what’s happening. ‘Bangla Brummies’ was well produced it must be said. 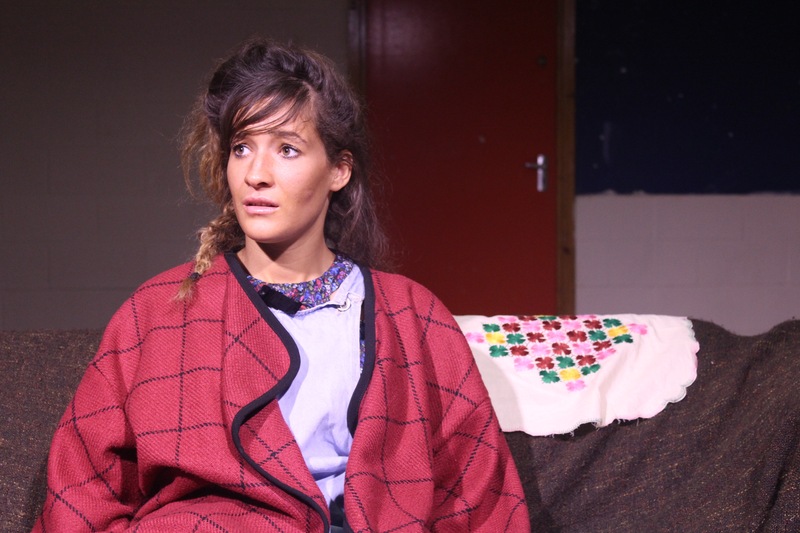 A cast of seven players, several of whom took on extra smaller parts as well as their main characters, and a minimal stage setting gave a very sleek and modern feel to the production which helped keep up the pace. There was never a moment where the action seemed to dip or the plot lose its way. The 90 minutes or so that this one-act play took were almost breathless in the speed. The scene changes were so slick and entertaining in themselves that it felt as if they must have taken as much rehearsal as the main speaking parts! I particularly enjoyed the way characters carried on their roles and whispered conversations (sometimes arguments) as they moved furniture out of the way and put the next scene’s pieces in place. The ploy worked and ensured there was no dead space. I found it ironic, given the theme of dealing with prejudice which runs throughout the play, that after the performance I went back to my hotel and stayed up to watch Donald Trump take over the world. We had already been living in a post-Brexit-anti-immigrant world but now we have seen just one man manage to make bigotry, sexism and xenophobia popular and acceptable again. While opinions differ and the world polarises into ‘for’ and ‘against’, ‘Bangla Brummies’ helps us to remember that prejudice isn’t an exclusively white idea but that all cultures and communities are guilty of it to some extent or other. However, whereas many of us find the Trump situation serious and gravely disturbing, Murad Khan’s play manages the light touch. In a Q & A session afterwards but Khan and his fellow director Dominic Waldron answered most clearly that “it’s all about entertainment”. It takes a special skill to be able to deal with such issues bluntly yet keep an audience on-board through amusing them. Sandie Soraiya, who played Malik’s grown up daughter Tania, was as fun as her character was feisty and completely believable as a beautiful young woman ready to marry – at least to the right man. She was a joy to watch and simply bounced around the stage as though it really was her own home. Kaz Sanga (who played the lead role of Malik) stole the show. His performance as Malik – the dodgy friend, husband and father who is as outrageous in his schemes as he is stupid at executing them – was hilarious. Without uttering a word this actor had the audience creasing up through his facial expressions and his prejudices (“I’m not being racist but – he’s black. Black is black!”) somehow were almost lovable and in keeping with his character. The fact that a trap is laid for Malik to fall foul of his own failings seems all the more fitting and the audience certainly appreciated watching Sanga’s sympathetic portrayal. I suspect most of them know a Malik or two themselves. There are, of course, criticisms – some of which were voiced by the audience during the Q & A session. One issue is the way the narrative swaps between past and present which is sometimes hard to follow and I suspect the next performance will see more work on this to make the signals clearer. Another is the occasional use of Bangla which for non-Asian audience members might be hard to follow. Neither of these are large issues and indeed keeping in the odd Bangla joke was insisted upon by director Dominic Waldron who said “I rather liked that there were phrases and jokes I didn’t understand – it made me feel like was I really watching an Asian family with a culture different to my own.”As it happens, this is a play which is going to appeal most to British Asian audiences or the occasional oddball like me who is white but knows the culture well so little is likely to be lost. I wondered, as I left the mac, how many conversations would be going on among the British Asians who watched about marriage and who is or is not acceptable to marry. 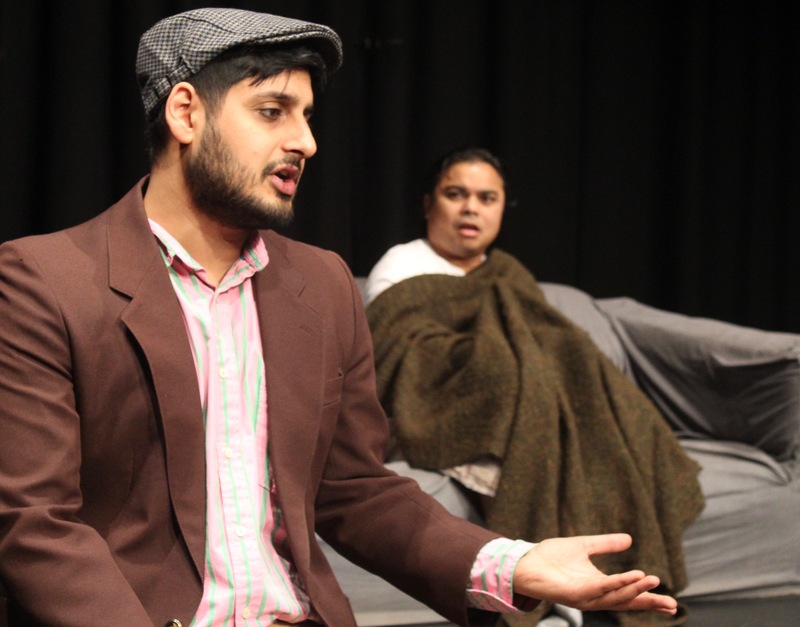 The play asks difficult questions of the Muslim community. How should marriage be arranged? What makes a ‘good Muslim’? Must Bangladeshis only marry Bangladeshis (and the scene where Malik defines who might be an acceptable Bangladeshi is utterly brilliant)? These are questions I know are being asked among the younger generations of Asians today and I suspect will be asked for many years to come. Murad Khan’s play is genuinely a helpful step along the way. The team are performing the show again on the 12th November in London and if you can I urge you to go see it. It’s a wonderful way to spend an evening and well worth the effort. The play is suitable for all ages though it is teenagers and older who I think will reap the most benefit. For my part, I’d love to see it again just to see Malik roll his eyes or mutter to his long-suffering wife “no you don’t hurry, take your time, it’s no bother…” You’ll have to go see it to know what I mean.